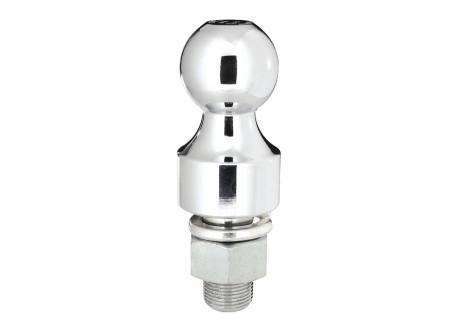 These heavy duty hitch balls are built of raw, unfinished, heat treated steel for maximum strength. All curt balls are tested to meet U.S. V-5 specifications. Note: Ball shown in picture is chrome plated. This model does not have a finish or plating to achieve maximum strength.